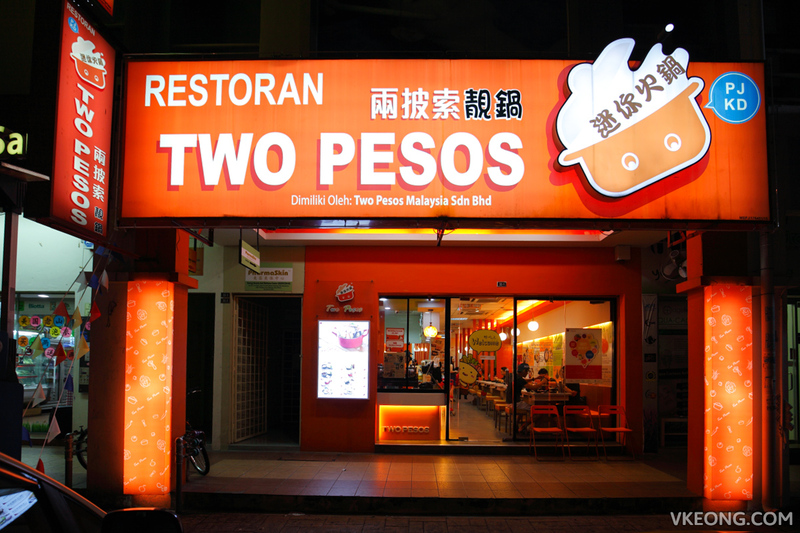 Two Pesos is a charming steamboat restaurant that started in SS2 and has since expanded into multiple locations in Klang Valley. 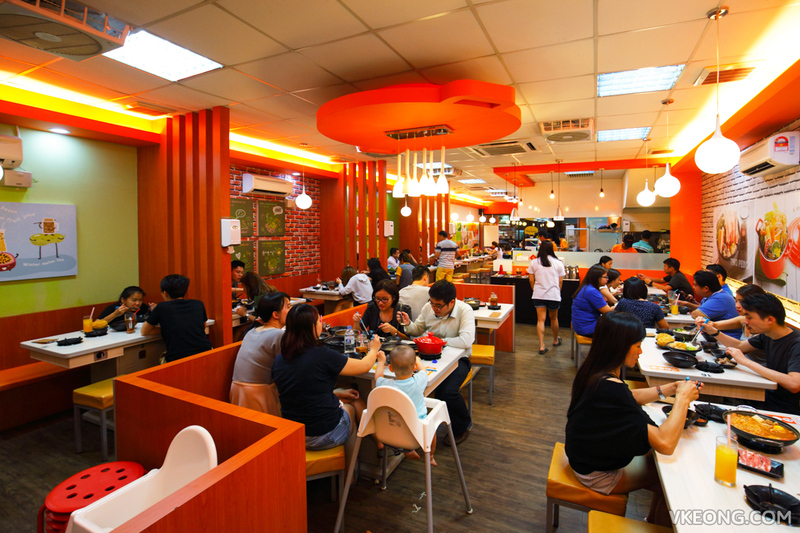 Despite the ongoing challenges in F&B business, they are doing extremely well and their outlets are usually full house. Sometimes, you even need to queue to get in. 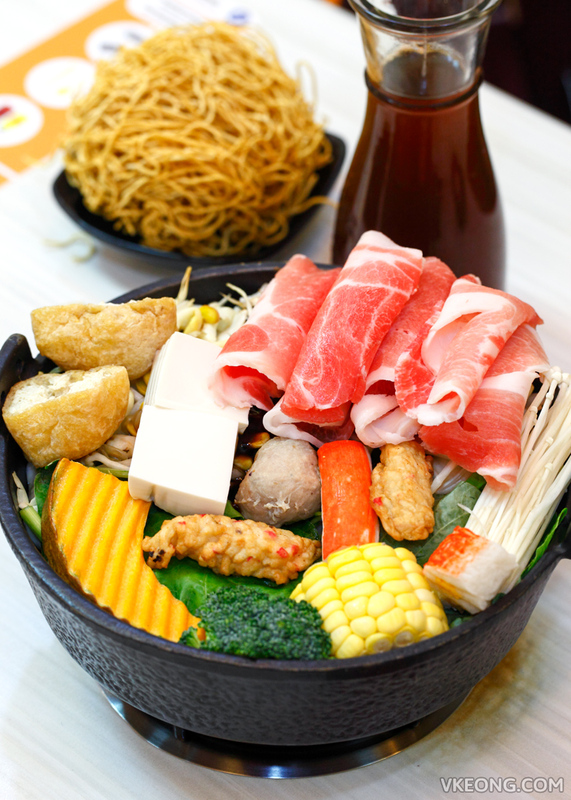 Taiwanese style mini steamboat is Two Pesos’ specialty, where each diner gets his or her own pot to cook the food with. 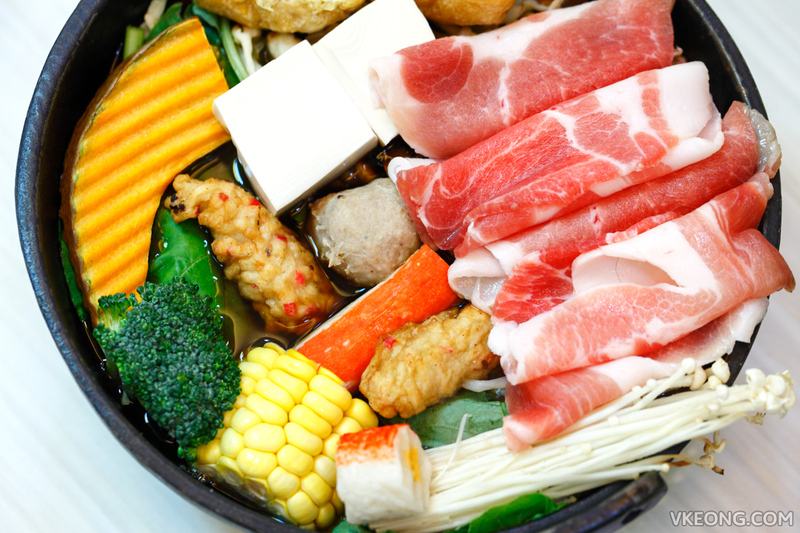 There are more than a dozen of choices and it’s not limited to hot pot only, as stone grill options are available too. Based on what I read from other customers’ feedback, the Milky Seafood Pot @ RM19.80 is one of the most well received item. I have to say their recommendation was spot on and I liked the sweet milky taste that complements both seafood and meat well. Portion wise the pot was loaded with plenty of vegetables at the bottom so it’s actually quite filling. The add ons are affordable. 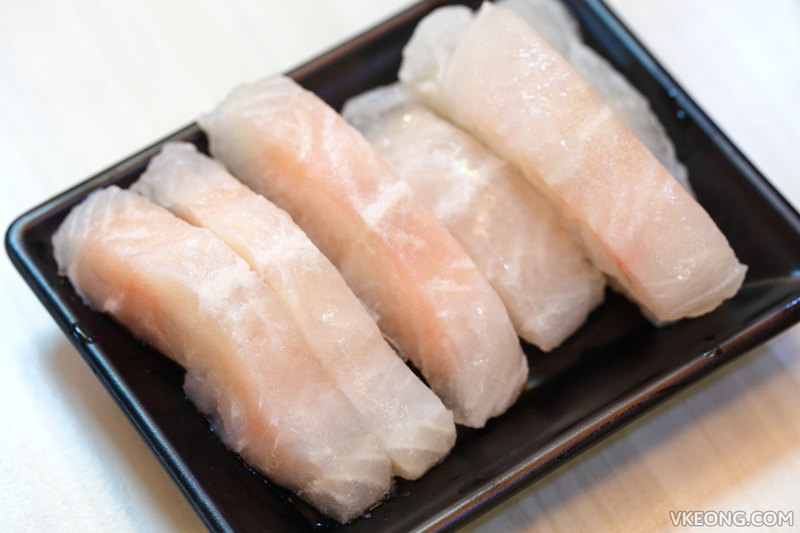 A portion of seafood or meat usually costs RM7.20 but it’s RM13 for 2, so there’s a bit of saving. We had the Australian beef slice and fish fillets. In hindsight, we would have asked for the pork slices instead. SL had the Japanese Sukiyaki Pot and the ingredients were slightly different. I took a sip of the Sukiyaki broth and it was seasoned just right, not too sweet nor salty. Overall it was an enjoyable steamboat meal which came to a total of slightly over RM50. We had a great time here and appreciated the freshness of the ingredients and the effectiveness of the dipping sauces. Pricing wise I thought it was alright considering a normal set for 2 at the normal steamboat restaurant would have set you back by around RM36. And that’s not including the extra meat slices yet. Furthermore, there’s no service charge here and all the prices quoted are already inclusive of GST. 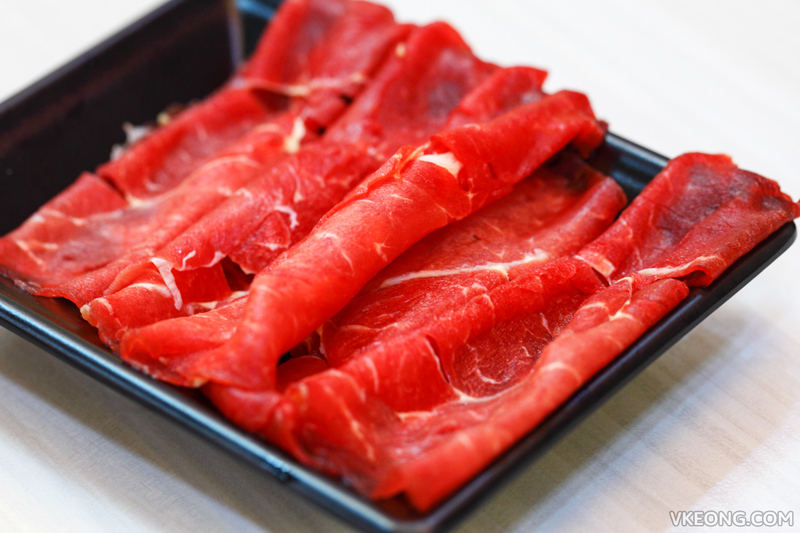 The post Two Pesos Mini Steamboat @ Kota Damansara appeared first on Malaysia Food & Travel Blog.